After going through my posts to revamp my Good Eats series, I notice that the second installment was missing! I know that I didn't delete it on purpose, so it must have been by accident! With that being said, I will be sharing with you my thoughts on Detroit Cookie Co. in Ferndale! Since I originally wrote about them back in September, her company has gained their 6 months wings (meaning that she's been open for 6 months), so BIGGEST Congratulations on this accomplishment! 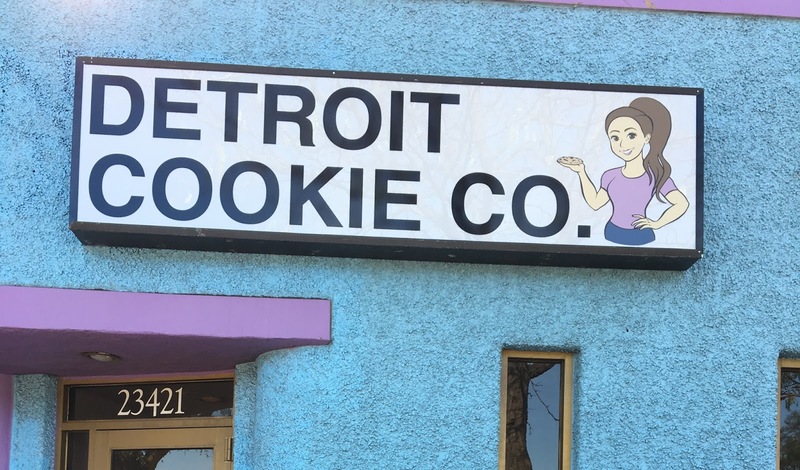 Detroit Cookie Co. is the end result of a bright idea from Lauren Roumayah! Now, I had the pleasure of working with her briefly at my current place of employment and she was a sweetheart then and still is now. 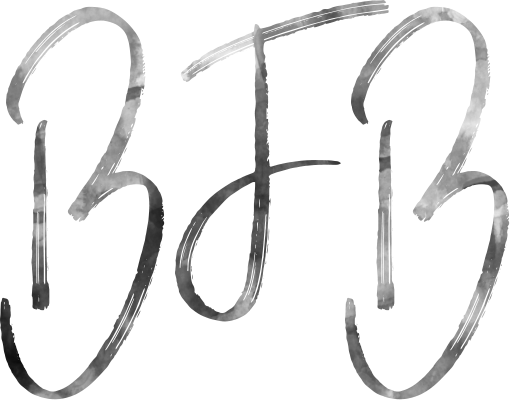 She grew tired of the 9 to 5 life and wanted to fulfill her passion while filling others stomachs with her delicious creations. I would HIGHLY encourage you to follow them on Instagram, your sweet tooth will not be disappointed! Let's go ahead and dive on in to the magic that is Detroit Cookie Co.
Detroit Cookie Co has some of the cutest saying on their walls! It's decorated with an old school vibe using a pleasant mixture of tables and chairs and booth style seating. There's even a "bar counter" vibe once you enter. They carefully used purples and blues on accent walls along with the main black and white that make up the interior. Again, all of these photos were taken back in September 2017. The world would not revolve (in my book) without the yummy taste of cookies and ice cream, so obviously, this was a treat date. Detroit Cookie Co has a HUGE variety on their menu (and more released since then). Not only are there traditional flavors like chocolate chunk and butter pecan, but listen.... They have some flavors that include Detroit based products and their one of a kind concoctions like raspberry/Oreo/cheesecake cookies and Golden Grahams Krispie treats, the combinations almost seem to be endless! I have to go and get an updated menu photo so that you can understand where I am coming from! 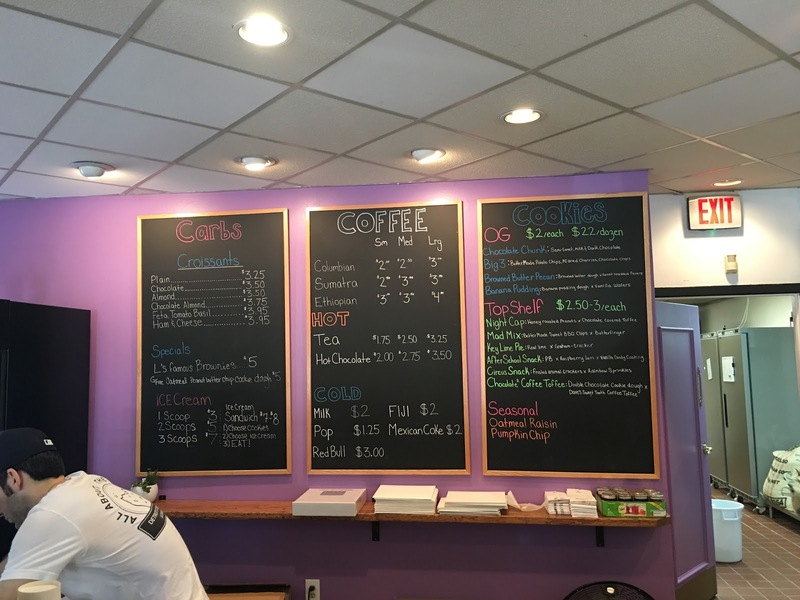 They also have ice cream, gourmet coffees and other items rounding out their menu. The photos that I have are of our assorted dozen and their yummy superman ice cream! Detroit Cookie Co. pricing is what to be expected of a gourmet cookie shop! Their pricing range depending on what you request, so it's hard to give a round about range. I wouldn't expect to get a dozen cookies on a Chip Ahoy budget, since these are hand and home made everyday , a few times a day. I am so proud of Lauren for stepping out of her comfort zone and sharing with us everything that Detroit Cookie Co is! When you have a passion for something, it truly shows through the hard work and the product and I will go back to her shop a million times over. If you are in the area of Woodward, between 9 and 10 mile, stop by Detroit Cookie Co, you won't be disappointed! Currently in the works of the next Good Eats post, so stay tuned!